China and Oman Sign the Memorandum of Understanding on Jointly Building the "Belt and Road"
On May 15, 2018, State Councilor and Foreign Minister Wang Yi held talks in Beijing with Minister Responsible for Foreign Affairs Yousef Bin Alawi Bin Abdullah of Oman. Wang Yi expressed that China and Oman have always enjoyed equal treatment, mutual understanding, mutual support and sincere cooperation. China is willing to take the 40th anniversary of the establishment of bilateral diplomatic relations as an opportunity to further consolidate political mutual trust, accommodate each other’s core interests and major concerns, and inject new impetus into as well as open up new space for bilateral cooperation through the joint construction of the “Belt and Road”. Both sides should focus on pushing forward bilateral practical cooperation in such fields as connectivity, industrial parks, energy, production capacity, science and technology, finance and ports. China supports Oman in continuously playing a unique and positive role in regional affairs. 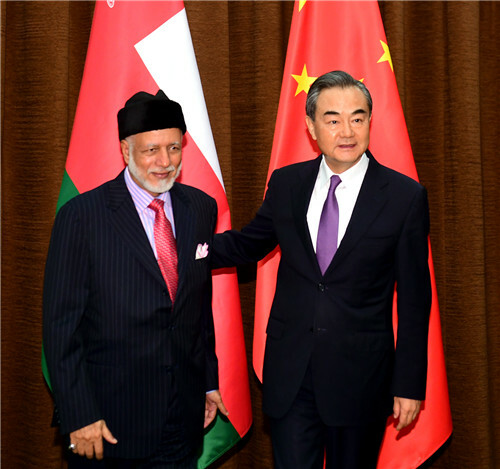 Yousef Bin Alawi Bin Abdullah expressed that speaking highly of China’s important contributions to the cause of world peace and development, Oman attaches great importance to its relations with China. 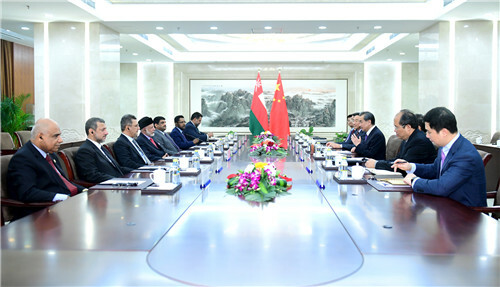 Oman will actively participate in the “Belt and Road” construction, and enhance communication and coordination with China in regional and international affairs, so as to constantly elevate the level of Oman-China cooperation. 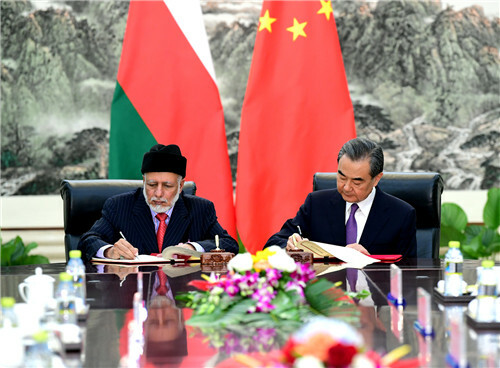 After the talks, both sides jointly signed the Memorandum of Understanding on Jointly Promoting the Construction of the Silk Road Economic Belt and the 21st Century Maritime Silk Road Between the Government of the People's Republic of China and the Government of the Sultanate of Oman.